Hello again people. I'm back again for my second posting today. This time its for Papertake Weekly. Yay. I thought I wouldn't get this card finished in time because you liked our "Anything Goes - optional extra Bling" theme so much over 650 of you entered the challenge which meant the design team and I have been busy admiring your beautiful artwork and leaving comments for each entrant. This week we are sponsored by Dies to Die For. To be in with a chance to win a prize we would like to see your creations for "First Christmas". Here is my offering of a 1st Navity. Click on the card for a bigger picture. 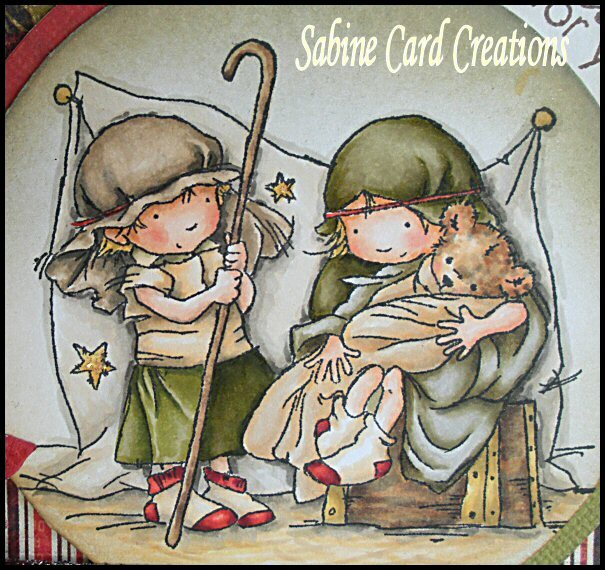 I received a commission to make a Christmas card so decided to make an easel card using the cute nativity image from Lili of the Valley. I'm really pleased with how the card turned out and my other half has informed me that he thinks this is my best coloured image so far. I only hope I don't disappoint in the future. Click on the picture to get a closer view. 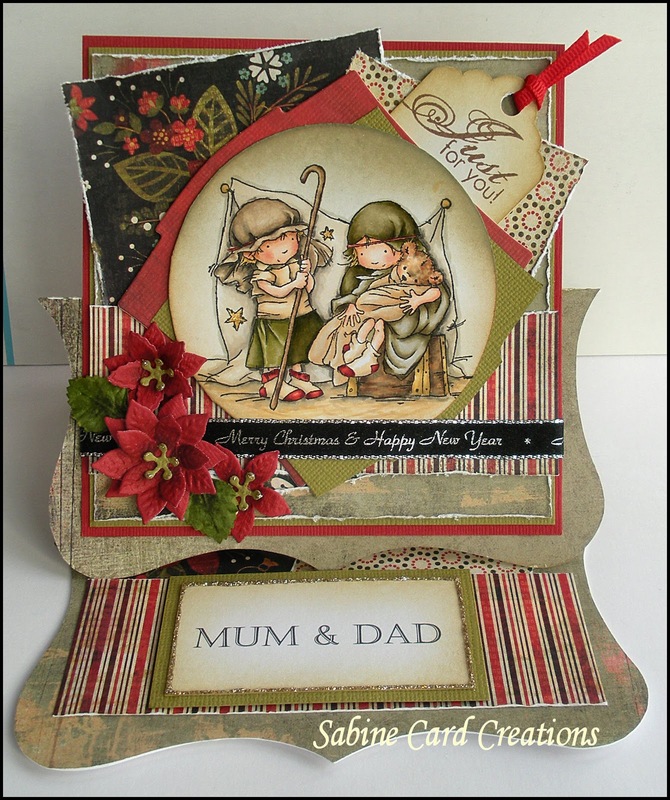 Embellishments - Poinsetta die (Marianne's Creatables), Ribbon. The tag was home made and stamped with a sentiment from Rachel Ann Miller. The second sentiment was created on the computer. I hope you like the card and hopefully so will the recipient. Absolutely love this - its stunning!!!! Wonderful coloration and fantastic design. OMG Jenny your colouring is perfect and what a fab colour combo. Simply gorgeous. Stunning card Jenny !! the image is adorable and your colouring is fabulous , all the details are perfect !! WOW Jenny this is gorgeous. This is simply stunning and your colouring is perfect. I love the easel layout and the little tag tucked in behind.